The City of Santa Clarita is skating forward with the Santa Clarita Skate Park Public Art Project, which will create a permanent public art piece at the park. The City is asking for community input through an online survey to help determine the look and specific location for the design. The survey can be found at scskatepark.com. The City of Santa Clarita Arts Commission 2018 Work Plan and Public Art Proposal, identified the Skate Park Public Art Project as a public art project, and in 2018, the Arts Commission gave approval for mural artist Miguel A. Del Real to carry out a skate park community engagement plan in order to create a project proposal. “I’m looking forward to building connections with Santa Clarita’s skate park riders and listening to their voice. 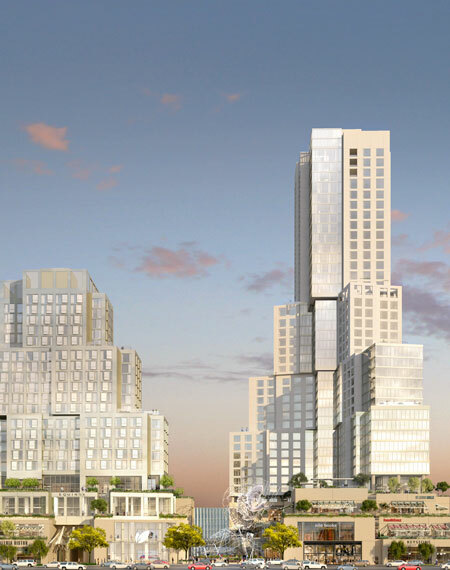 I want to involve them in the process of the design concept,” said Del Real. Del Real will be at the Skate Park on Friday, February 22 from 4:00 p.m. to 6:00 p.m. to meet and greet the community, and answer any questions about the project. 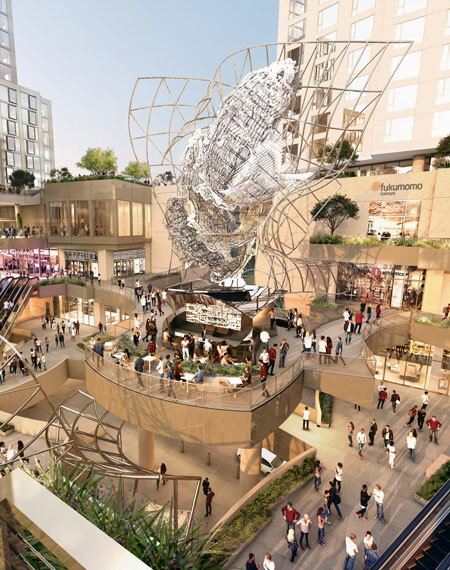 Along with giving input for the design and location of the art piece, residents will also have the opportunity to sign up for design and paint workshops at the end of the survey. The workshops will be led by Del Real, who will teach attendees about urban art and painting techniques. Based on availability, participants will be able to choose from either Saturday, February 23 from 10:00 a.m. until noon, or Sunday, February 24 from noon until 2:00 p.m. The Skate Park is located at 20840 Centre Pointe Parkway. For more information about the Santa Clarita Skate Park Project, please visit scskatepark.com, or contact Katherine Nestved at knestved@santa-clarita.com. SPROUTING IN MAY: SANTA CLARITA’S FIRST-EVER VEGFEST: Santa Clarita Valley Veg Fest 2019 – May 4, noon to 9 p.m.
SANTA CLARITA, Calif. – The first-ever festival in Santa Clarita celebrating the vegan movement is coming this May – the Santa Clarita Valley (SCV) VegFest will sprout on Saturday, May 4, 2019 from noon to 9:00 p.m. in Santa Clarita’s Central Park, located at 27150 Bouquet Canyon Road. 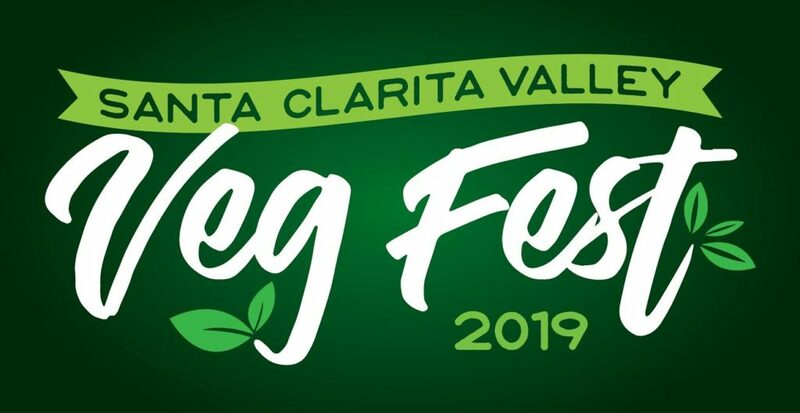 The first-ever festival in Santa Clarita celebrating the vegan movement is coming this May – the Santa Clarita Valley (SCV) VegFestwill sprout on Saturday, May 4, 2019 from noon to 9:00 p.m. in Santa Clarita’s Central Park, located at 27150 Bouquet Canyon Road. The VegFest will be will be an outdoor festival celebrating delicious vegan food, unlimited pours of beer, wine and kombucha, and a compassionate cruelty-free way of living. Although the name may suggest the festival is geared only towards those who abstain from meat, this is not the case at all – all ages and non-vegan eaters are welcome! “Foodies, vegetarians, meat-eaters, really anyone who wants to learn about living a more healthy and sustainable lifestyle would have a blast at the festival,” says festival co-founder Jess Guidroz. VegFest attendees can expect a combination of over 50 participating restaurants, vendors and food trucks, including: Beyond Meat, Delighted by Hummus, and Amaro Pizzeria, as well as a variety of local craft beer and wine vendors. In addition to scrumptious vegan cuisine to sample or buy, there will also be live music, two DJ’s, a lounge and dance area, celebrity vegan speakers, yoga in the park, vegan-friendly merchandise, a children’s play area, and much more. The festival is the brainchild of Jess and Nicole Guidroz, who wanted to create a high-vibe event to promote a happy healthy lifestyle and to prove how exciting flavors can be despite myths about vegan foods. Proceeds from the festival benefit non-profit organizations: Kakao, Charity Water, Bridge to Home, and Family Promise. Early bird pricing is now available. For more event info, including a schedule of events, visit www.SCVVegFest.com. Time: Noon to 9:00 p.m.
THURSDAYS@NEWHALL to feature a pair of Free events inside The Main as part of wrapping up its February SLATE of Music, Comedy. Senses Block Parties return in March. Santa Clarita, Calif. – Thursdays@Newhall series presented by the City of Santa Clarita, returns in February with a pair of FREE events inside The MAIN in Old Town Newhall. The last month of the winter slate, February features both the 10 by 10 Variety Show and Note by Note Music Night before the series takes on a new schedule in March 2019. Thursdays@Newhall is an ongoing opportunity for residents of Santa Clarita to attend shows, concerts and special events on Thursdays throughout the year. The month begins February 7 at The MAIN (24266 Main Street), when 10 performers will take the stage for 10 minutes each and share their comedy, storytelling, short films and music at the monthly 10 by 10 Variety Show from 7:00 p.m. to 9:00 p.m. One of the featured performances shines the spotlight on Madeline Conroy and Paul Blinder, 2018 Southern California Tango Championship finalists, who will enthrall the audience with the beauty of the Argentine tango. Performances this month will also include storytelling with Mary-Margaret Martinez and The Golden Pen Writers’ Guild of Santa Clarita; magic by Raul Fernandez; music by Nicole and Scotty, The Gamblers, Santiago Valencia and Kamili Mitchell; comedy with Kelly Spillman and Marty Ross; and a screening of the short film “The Perfect Date for Every Woman,” written and directed by Carrie Daniel. The Note by Note Music Night settles into its new slot on the fourth Thursday of the month and will take place inside The MAIN from 7:00 p.m. to 9:00 p.m. on February 28. 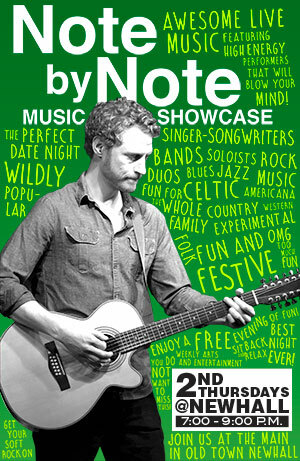 Note by Note is a free night of music, delighting audiences with a variety of genres. Bands, duos and soloists will perform a wide range of styles, including rock, folk, Celtic, Americana, blues, jazz, country, experimental, western and more! 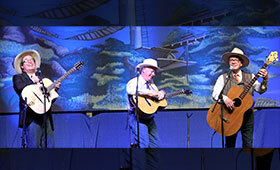 Featured performers in February include Ted Camp, Carrie Wade and Gnawest. Artists interested in performing at Note by Note can learn more at ThursdaysAtNewhall.com/NotebyNote. As the calendar flips to March, residents will enjoy the return of both JAM Sessions and the monthly SENSES Block Party. JAM Sessions moves to a new night and location, and will now take place on the second Thursday of the month at the Newhall Community Center (22421 Market Street) beginning March 14. JAM Sessions brings dance lessons and original live music performances to Newhall each month from March through October. The wildly popular SENSES Block Party also returns to Main Street in Old Town Newhall on the third Thursday of the month beginningMarch 21. Stimulate your senses as you enjoy live music, gourmet food trucks, drinks, activities and more! The theme for each monthly block party will be announced later this month on the Thursdays@Newhall Facebook page. For more information about the City of Santa Clarita’s Thursdays@Newhall events, visit ThursdaysAtNewhall.com or contact the City’s Arts and Events Office at (661) 250-3787. 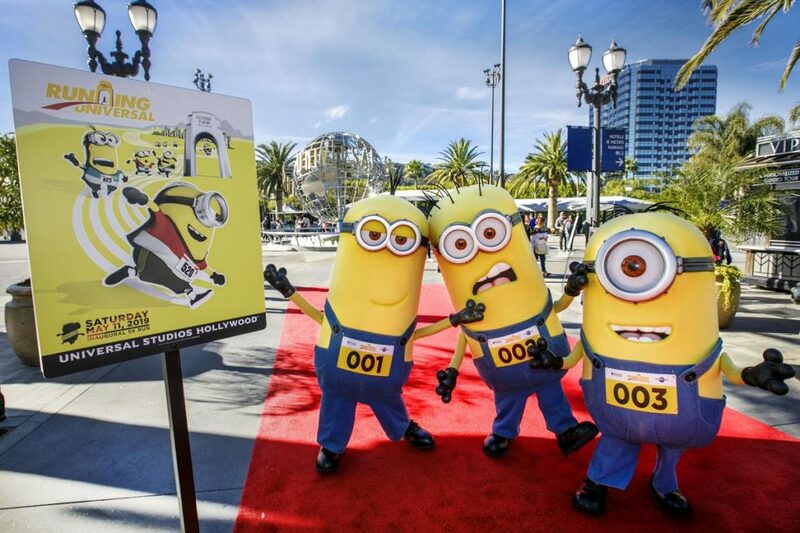 Universal Studios Hollywood’s 5K inaugural ‘Minion Run’ in the Theme Park’s ‘Running Universal’ Series, kick’s off on Saturday, May 11 with Illumination’s Mischievous Minions﻿. Registration going on now. 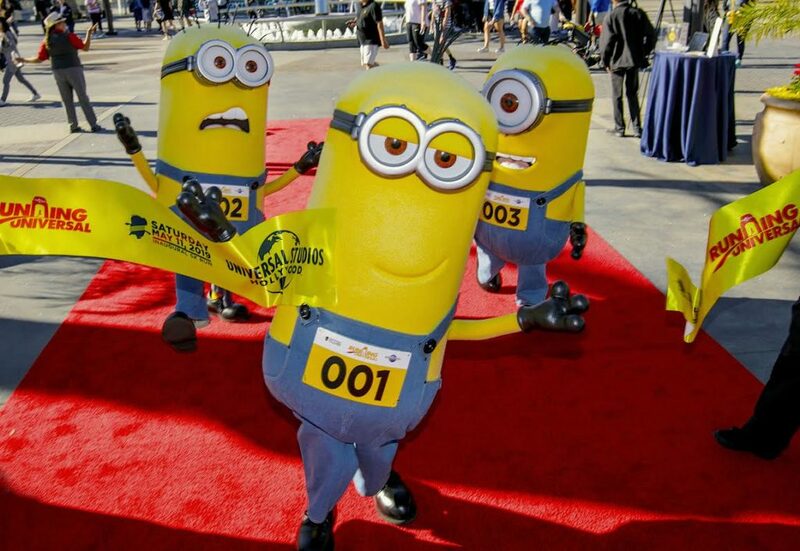 The inaugural Minion Run, featuring Illumination’s mischievous Minions from the popular “Despicable Me Minion Mayhem” ride,invites participants ages five and older (of all experience levels) to wind their way around Universal Studios Hollywood and through parts of Universal Studios’ historic backlot, made famous in more than 8,000 movies and television shows. 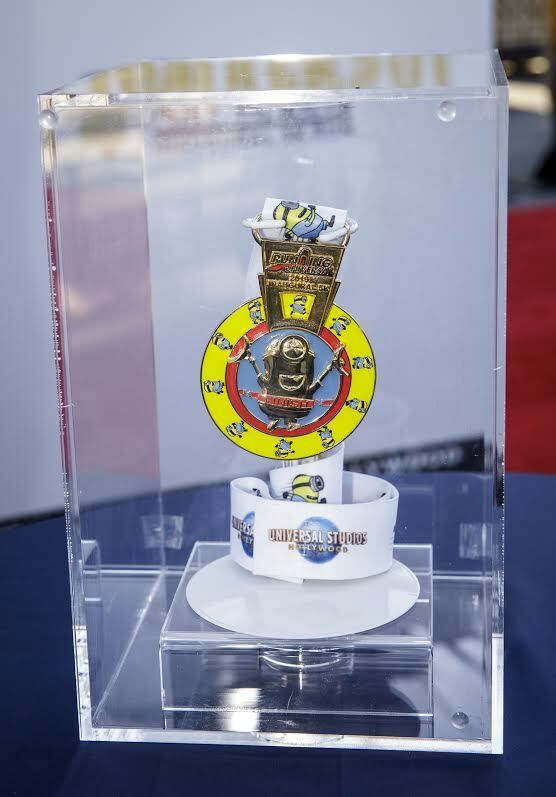 The run will give participants an unprecedented insider’s view of the Entertainment Capital of L.A.
Santa Clarita, Calif. – The website for the 26th Annual Santa Clarita Cowboy Festival, presented by the California Resource Corporation, is now live at CowboyFestival.org. Visitors to the website will be able to learn more about the events and activities taking place as part of the Cowboy Festival on April 13 and 14, 2019. General admission to the main Cowboy Festival events at the historic William S. Hart Park in Newhall will be FREE once again in 2019. General admission includes access to a variety of cowboy cuisine and western wear vendors, activities such as archery, knife throwing and mechanical bull riding, and a full schedule of entertaining performances across five stages inside the park. Tickets to special performances as part of the 26th Annual Santa Clarita Cowboy Festival are now on sale to the public. Tickets to these events, which begin on Thursday, April 11, will be available to purchase by visiting CowboyFestival.org/schedule. Venues in and around Old Town Newhall will host additional ticketed events. The full lineup of ticketed performances and opportunities are listed below. For more details about the 2019 Santa Clarita Cowboy Festival, please visit CowboyFestival.org. 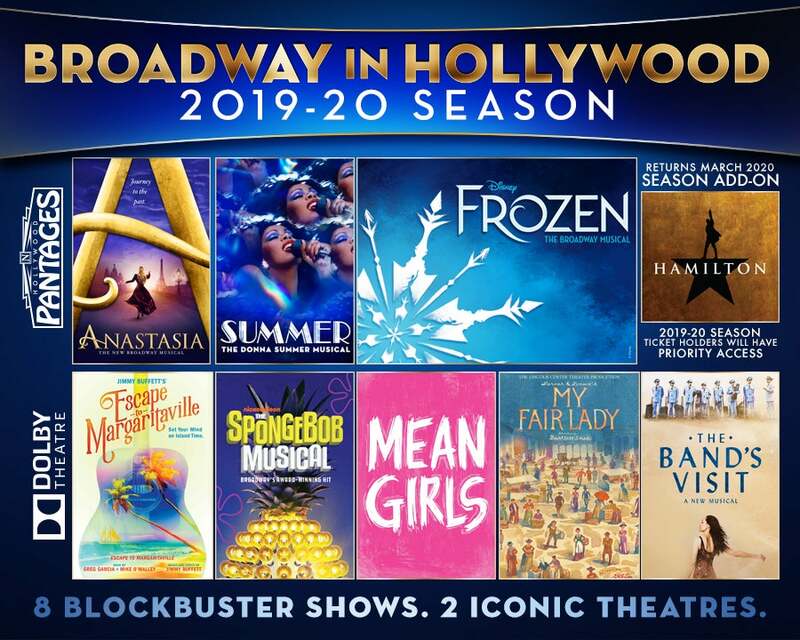 The Dolby and Pantages Theatre’s Announce the 2019-2020 Season of Broadway in Hollywood featuring, Mean Girls, Sponge Bob, Anastasia, My Fair Lady and more. Hamilton to return in 2020. Hollywood, Calif. – Tuesday, February 5, 2019 – The Hollywood Pantages, a Nederlander Theatre, is proud to announce the BROADWAY IN HOLLYWOOD 2019-20 Season, consisting of eight Los Angeles premieres, all direct from Broadway. This season will mark the first time Los Angeles Theatre audiences will have regular access to Broadway National Tours at both the Pantages and Dolby Theatres in Hollywood. 8 great shows, 2 iconic theatres, one blockbuster season. Pantages Theatre will play host to the first three shows of the new 2019-20 Season. Disney’s FROZEN, last year’s biggest Broadway musical hit, will cast an icy spell across Los Angeles this holiday season as the ©Oscar®-winning film comes to life with the scale and spectacle only Disney Theatrical can deliver. Donna Summer, the disco icon with the voice from heaven, who shot through the stars from gospel choir to dance floor diva will have her life story come to life in the most electric way possible when SUMMER: The Donna Summer musical makes its L.A. debut. From the Tony Award®-winning creators of the Broadway classic Ragtime and inspired by the beloved films, ANASTASIA will transport us from the twilight of the Russian Empire to the euphoria of Paris in the 1920s. Continuing the BROADWAY IN HOLLYWOOD season at the Dolby Theatre, Hollywood will truly intersect with Broadway when MEAN GIRLS, the record-breaking new musical comedy based on the hit Paramount Pictures film and featuring a book by nine-time Emmy® Award winner Tina Fey, makes its L.A. debut. Come get away from it all and put your mind on island time as Jimmy Buffett’s ESCAPE TO MARGARITAVILLE brings you a change in latitude and a change in attitude. The critically-acclaimed creative team who brought the epic production of Rodgers & Hammerstein’s The King and I and South Pacific to L.A. return with the Lincoln Center Theater production of Lerner & Loewe’s MY FAIR LADY, helmed by Bartlett Sher. THE SPONGEBOB MUSICAL, the critically acclaimed, award-winning new musical adapted from the beloved Nickelodeon series, and hailed by The New York Times as “brilliant” and “effervescent candy-for-the-spirit” by New York Magazine makes its L.A. Premiere. And lastly, THE BAND’S VISIT, the 10-time Tony Award-winning BEST MUSICAL, will celebrate the deeply human ways music, longing and laughter can connect us all. HAMILTON will return to Los Angeles at the Pantages in March of 2020 as an additional event. Season Ticket Holders who purchase a 2019-20 season package will have priority access to HAMILTON. Detailed ticketing information will be announced later this season. Season Ticket Packages are available now at www.HollywoodPantages.com/SeasonPackages or www.BroadwayInHollywood.com or by phone at 866-755-BWAY (2929) (M-F; 8am-6pm PT). Current Season Ticket Holders can renew their tickets beginning today. New customers may purchase new season packages beginning today as well. Season Ticket Holders lock in the best seats at the best prices and enjoy benefits such as complimentary ticket exchanges online and at the box office, lost ticket insurance and 24/7 account access. Season Ticket Holders are also guaranteed priority access to added events. Mobile Tickets offer Season Ticket Holders greater security and flexibility, as well as greater ease in managing season tickets. From the Tony Award®-winning creators of the Broadway classic Ragtime and inspired by the beloved films, ANASTASIA will make its L.A. premiere at the Pantages Theatre; October 8 – 27, 2019. ANASTASIA is the new Broadway musical that’s “one of the most gorgeous shows in years!” (New York Observer). This dazzling show transports us from the twilight of the Russian Empire to the euphoria of Paris in the 1920s, as a brave young woman sets out to discover the mystery of her past. Pursued by a ruthless Soviet officer determined to silence her, Anya enlists the aid of a dashing conman and a lovable ex-aristocrat. Together, they embark on an epic adventure to help her find home, love, and family. The creative team includes Peggy Hickey (Choreography), Alexander Dodge (Set Design), Linda Cho (Costume Design), Donald Holder (Lighting Design), Peter Hylenski (Sound Design), Aaron Rhyne (Projection Design), Charles G. LaPointe (Hair/Wig Design), Joe Dulude II (Makeup Design), Tom Murray (Music Supervision), Lawrence Goldberg (Music Direction), Doug Besterman (Orchestrations), David Chase (Dance Arranger), casting by Telsey + Company/Craig Burns, CSA. ANASTASIA, currently celebrating an open-ended run on Broadway, began performances on March 23, 2017 at the Broadhurst Theatre (235 West 44th Street) with critics exclaiming “Ahrens and Flaherty have chosen the right moments to musicalize, and their score here sounds complete and full — one of the season’s strongest! (NBC)” and “Smartly adapted by Terrence McNally, Anastasia is a sweeping adventure, romance and historical epic whose fine craftsmanship will satisfy musical-theater fans (Time Out)”. The new musical has played to sold out crowds on Broadway since officially opening in April 2017, in addition to garnering multiple Tony, Drama Desk and Outer Critics Circle awards and nominations. Season Production #2 L.A. Premiere Engagement SUMMER: THE DONNA SUMMER MUSICAL Pantages Theatre November 5 – 24, 2019 From the creative team who brought you Jersey Boys and Ain’t Too Proud, two hit musicals celebrating music industry and pop culture trailblazers, comes SUMMER: The Donna Summer Musical. SUMMER made its world premiere in California at the La Jolla Playhouse in November 2017, before transferring to Broadway in 2018. SUMMER will make its L.A. Premiere at the Pantages Theatre; November 5 – 24, 2019. She was a girl from Boston with a voice from heaven, who shot through the stars from gospel choir to dance floor diva. But what the world didn’t know was how Donna Summer risked it all to break through barriers, becoming the icon of an era and the inspiration for every music diva who followed. With a score featuring more than 20 of Summer’s classic hits including “Love to Love You Baby,” “Bad Girls” and “Hot Stuff,” this electric experience is a moving tribute to the voice of a generation. The Hollywood Reporter says that SUMMER is “PURE BLISS. An ebullient era in music! It gives the trailblazing songstress her rightful place in pop culture.” SUMMER features a book by Colman Domingo, Robert Cary and Des McAnuff (Jersey Boys, The Who’s Tommy). From the producers of The Lion King and Aladdin, FROZEN, the Tony®-nominated Best Musical, will celebrate its North American tour opening at the Pantages Theatre; December 4, 2019 through February 2, 2020. FROZEN, heralded by The New Yorker as “thrilling” and “genuinely moving,” quickly emerged as the biggest musical hit of last year’s Broadway season, smashing four St. James Theatre house records and placing it in the top 10 best-selling shows every week since opening in March 2018. A mysterious secret. A family torn apart. As one sister struggles with being an outsider and harnessing her powers within, the other sets out on a thrilling adventure to bring her family together once again. Both are searching for love, but they’ll learn that to find it they’ll have to look inside themselves first. FROZEN is melting hearts on Broadway in an all-new production created for the stage by an award-winning team. It features the songs you know and love from the original film plus an expanded score with a dozen new numbers. The creative team at its helm has won a cumulative 16 Tonys and includes ©Oscar® winner Kristen Anderson-Lopez and EGOT-winning Robert Lopez (music & lyrics), ©Oscar®-winning Jennifer Lee (book), Tony and Olivier Award-winning Michael Grandage (director) and Tony winner Rob Ashford (choreographer). An unforgettable theatrical experience filled with sensational special effects, stunning sets and costumes, and powerhouse performances, FROZEN is everything you want in a musical: It’s moving. It’s spectacular. And above all, it’s pure Broadway joy. FROZEN is produced by Disney Theatrical Productions under the direction of Thomas Schumacher. Season Production #4 L.A. Premiere Engagement Jimmy Buffett’s ESCAPE TO MARGARITAVILLE Dolby Theatre February 18 – March 8, 2020 Jimmy Buffett’s ESCAPE TO MARGARITAVILLE will make its L.A. Premiere, direct from Broadway, at the Dolby Theatre; February 18 – March 8, 2020. Musical winner of the Drama Desk and Outer Critics Circle Awards, where the power of optimism really can save the world. Since its launch in July 1999, SpongeBob SquarePants has reigned as a pop culture phenomenon. SpongeBob SquarePants is the most widely distributed property in Viacom history, seen in more than 208 countries and territories and translated in 55+ languages. Paramount Pictures’ second feature film based on the property, The SpongeBob Movie: Sponge Out of Water, in 2015 at #1 opening weekend. A third feature has been announced for 2019, timed to the series’ landmark 20th anniversary. Season Production #6 Featuring a Book by 9-Time Emmy Award Winner Tina Fey MEAN GIRLS Dolby Theatre April 28 – June 7, 2020 Direct from Broadway, MEAN GIRLS, the hilarious hit musical from an award-winning creative team, including book writer Tina Fey (“30 Rock), composer Jeff Richmond (“Unbreakable Kimmy Schmidt”), lyricist Nell Benjamin (Legally Blonde) and director Casey Nicholaw (The Book of Mormon), will make its L.A. Premiere at the Dolby Theatre; April 28 – June 7, 2020. 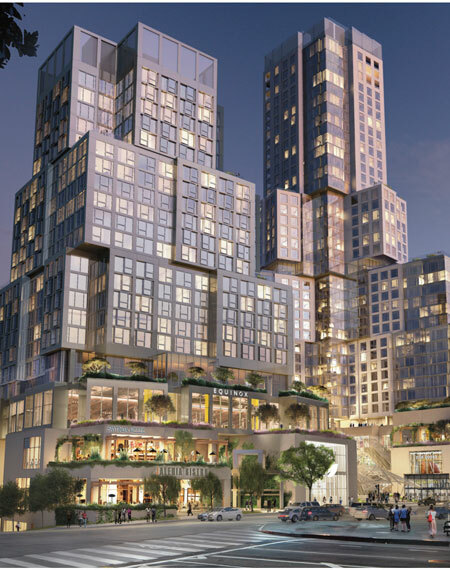 GET YOUR TICKETS NOW!” The Lincoln Center Theater Production of Lerner & Loewe’s MY FAIR LADY Dolby Theatre June 12 – July 5, 2020 Lincoln Center Theater’s critically-acclaimed production of Lerner & Loewe’s MY FAIR LADY, directed by Bartlett Sher, will make its L.A. Premiere at the Dolby Theatre; June 12 – July 5, 2020. Currently playing on Broadway, Lerner & Loewe’s MY FAIR LADY is the winner of five 2018 Outer Critics Circle Awards including Best Revival of Musical and was recently nominated for 10 Tony Awards including Best Musical Revival, 5 Drama Desk Awards including Best Musical Revival and 3 Drama League Awards including Best Musical Revival. Adapted from George Bernard Shaw’s play and Gabriel Pascal’s motion picture Pygmalion, MY FAIR LADY, with a book and lyrics by Alan Jay Lerner and music by Frederick Loewe, premiered on Broadway on March 15, 1956. The legendary original production won 6 Tony Awards including Best Musical and ran for 2,717 performances making it, at the time, the longest-running musical in Broadway history. Boasting a score that contains such now-classic songs as “I Could Have Danced All Night,” “Get Me to the Church on Time,” “Wouldn’t It Be Loverly,” “On the Street Where You Live,” “The Rain in Spain,” and “I’ve Grown Accustomed to Her Face,” MY FAIR LADY was hailed by The New York Times as “one of the best musicals of the century,” by the Christian Science Monitor as “a work of theatre magic,” and by the NY Herald Tribune as “a miraculous musical.” Season Production #8 The 2018 Tony-Winning Best Musical THE BAND’S VISIT Dolby Theatre July 7 – 26, 2020 THE BAND’S VISIT, one of the most Tony Award®-winning musicals in history, will make its L.A. Premiere at the Dolby Theatre; July 7 – 26, 2020. After a mix-up at the border, an Egyptian Police Band is sent to a remote village in the middle of the Israeli desert. With no bus until morning and no hotel in sight, these unlikely travelers are taken in by the locals. Under the spell of the desert sky, their lives become intertwined in the most unexpected ways. THE BAND’S VISIT celebrates the deeply human ways music, longing and laughter can connect us all. THE BAND’S VISIT opened at Broadway’s Ethel Barrymore Theatre (243 West 47th Street) on Thursday, November 9, 2017, featuring music and lyrics by Tony and Drama Desk Award winner David Yazbek, and a book by Tony, NY Drama Critics Circle, Lortel and Outer Critics Circle award winner Itamar Moses. It is based on the screenplay by Eran Kolirin, and is directed by Tony, Drama Desk, Lortel & Obie Award winner David Cromer. THE BAND’S VISIT is the winner of Ten 2018 Tony Awards, including Best Musical, Best Original Score (David Yazbek), Best Book (Itamar Moses), Lighting Design (Tyler Micoleau), Sound Design (Kai Harada), Orchestrations (Jamshied Sharifi) and Director (David Cromer). THE BAND’S VISIT has broken the all-time box office record at Broadway’s Barrymore Theatre twice. Season Ticket Holder Priority Access HAMILTON Pantages Theatre Performances begin March 2020 HAMILTON will return to the Pantages Theatre with performances beginning in March of 2020. Season Ticket Holders who purchase a 2019-20 season package will have priority access to HAMILTON, prior to the general public. Detailed ticketing information will be announced later this season. HAMILTON is the story of America’s Founding Father Alexander Hamilton, an immigrant from the West Indies who became George Washington’s right-hand man during the Revolutionary War and was the new nation’s first Treasury Secretary. Featuring a score that blends hip-hop, jazz, blues, rap, R&B, and Broadway, HAMILTON is the story of America then, as told by America now. About The Hollywood Pantages Theatre The Hollywood Pantages is part of The Nederlander Organization, which owns or operates venues on Broadway and in Chicago, San Diego, San Jose, Tucson, Durham, Oklahoma City, N. Charleston, and London. The Hollywood Pantages is the foremost presenter of first-class touring productions in Los Angeles, with over 45,000 season ticket holders. Presentations include Hamilton, Disney’s The Lion King, Wicked, The Book of Mormon, and The Phantom of the Opera. www.hollywoodpantages.com. 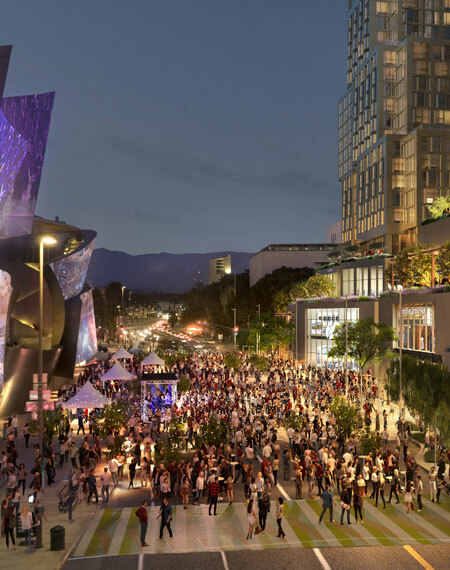 About The Dolby Theatre Opened in 2001, the 180,000-square-foot, 3,400-seat Dolby Theatre® with cutting edge technologies sets the stage for entertainment technology as a host of the world’s biggest movie premieres, events, and performances. 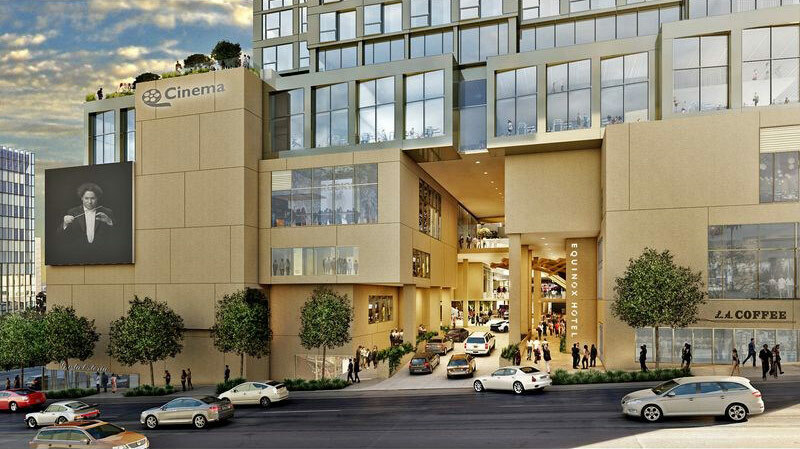 Dolby Theatre is an ongoing showcase for the latest innovations in Dolby entertainment technology, including Dolby® Atmos™, a breakthrough audio technology that delivers a natural, life-like sensory experience. Dolby Theatre also features Dolby 3D, a state-of-the-art imaging solution that provides audiences with a superior 3D experience. Dolby Theatre is located within Hollywood & Highland® , which consists of over 640,000 square feet of space featuring national, regional and local retail tenants, a variety of restaurants, several of Hollywood’s hottest nightclubs, a six screen state-of-the-art cinema adjacent to the world-famous TCL Chinese Theatre and the 640 room Loews Hollywood Hotel. www.dolbytheatre.com. HOLLYWOOD CHAMBER OF COMMERCE TO HONOR P!NK WITH STAR ON THE HOLLYWOOD WALK OF FAME. HOLLYWOOD CHAMBER OF COMMERCE TO HONOR P!NK WITH STAR ON THE HOLLYWOOD WALK OF FAME. Photo/Hollywood Chamber of Commerce. Hollywood, Calif. – The Hollywood Chamber of Commerce is proud to announce that entertainer P!NK will be honored with the 2,656th star on the Hollywood Walk of Fame on Tuesday, February 5th, at 11:30 a.m. PST. The star will be dedicated in the category of Recording at 6801 Hollywood Boulevard in front of the Hollywood & Highland Complex. Helping Emcee Rana Ghadban, President & CEO of the Hollywood Chamber of Commerce to unveil the star will be Walk of Famer Ellen DeGeneres and Kerri Kenney-Silver. Since her debut in 2000, P!NK has released seven studio albums, one greatest hits album, sold over 50-million albums equivalents, over 75-million singles, over 2.4-million DVDs worldwide and has had 15 singles in the top 10 on theBillboard Hot 100 chart (four at #1). In addition, P!nk is the recipient of three Grammy Awards (20 nominations), one Daytime Emmy Award, three Billboard Music Awards, seven MTV Video Music Awards (including the 2017 Michael Jackson Vanguard Award recipient), two MTV Europe Awards, two People’s Choice Awards, was named Billboard’s Woman of the Year in 2013 and has sold out arenas all over the world. Her seventh studio album, Beautiful Trauma is certified Platinum, debuted at No. 1 on Billboard’s 200 chart, marked a career high for first week sales and re-entered the chart at No. 2 months after release. The album was nominated for a 2019 Grammy Award for Best Pop Vocal Album. The first single, “What About US” is also certified Platinum, received a Grammy nomination in 2018 for Best Pop Solo Performance and reached No. 1 on the Adult Pop Songs chart earning her ninth leader on the chart, the most number-ones for a female. P!NK is gearing up to return to the road for her highly-successful and critically-acclaimed 2018-2019 Beautiful Trauma World Tour in March. The tour has already sold over 1-million tickets in North America and over 600,000 people with 42 sold-out shows in Australia and New Zealand. Most recently, P!NK graced the cover of People Magazine’s The Beautiful Issue. P!NK is a huge supporter of various charities, including Make a Wish Foundation, Autism Speaks, Human Rights Campaign and No Kid Hungry. She remains on the UNICEF team as an Ambassador. For more than 98 years, the Hollywood Chamber of Commerce has provided leadership, business development resources, networking, and government affairs programs and services to keep the Hollywood business and residential communities safe, relevant and economically vital. Donelle Dadigan, is the Chair of the Hollywood Chamber of Commerce Board of Directors 2018-19, and Rana Ghadban is the President/CEO of the Hollywood Chamber of Commerce. For more information please visit www.hollywoodchamber.net. Santa Clarita, Calif. – Sammy Clarita is galloping back into town this winter with plans to promote his new book at the Santa Clarita Public Library! Beginning this month, community members can head to any Santa Clarita Public Library branch and check out his first book, titled Sammy Stories—Meet Sammy Clarita. Sammy, a fun-loving mustang who loves chocolate almost as much as he loves Santa Clarita, has been busy putting the finishing touches on his new book. He’s even had a makeover in honor of the occasion, and now sports a spiffy green library vest and glasses! Sammy is excited to share his story, and knows his readers will hoot and haw over the eye-catching illustrations and fun tidbits of Santa Clarita history that are included. This is one horse tale you will not want to miss! Join Mayor Marsha McLean for a special reading of the book at the Santa Clarita Public Library’s Storytime “Just for 2’s and 3’s,” on Wednesday, February 6 at 11:00 a.m. at the Old Town Newhall Library. The Old Town Newhall Library is located at 24500 Main Street in Newhall. A special guest appearance by Sammy Clarita himself will also take place. In addition to being available at all Santa Clarita Public Library branches, Sammy’s book will be in third grade classrooms throughout the City! “Discovering the joy of reading is one of the most important gifts we can give our children,” said Mayor Marsha Mclean. “This book combines humor, local history and community pride. We hope it will inspire young children to get excited about reading and learning!” Sammy is also looking forward to celebrating all that the Santa Clarita Public Library has to offer this year. With a variety of upcoming events, including the annual One Story One City program, it is sure to be one heck of a ride. Sammy Clarita was chosen as the City’s mascot in its thirtieth anniversary year and represents the City’s rich Western history, equestrian trails and more than 11,000 acres of open space. 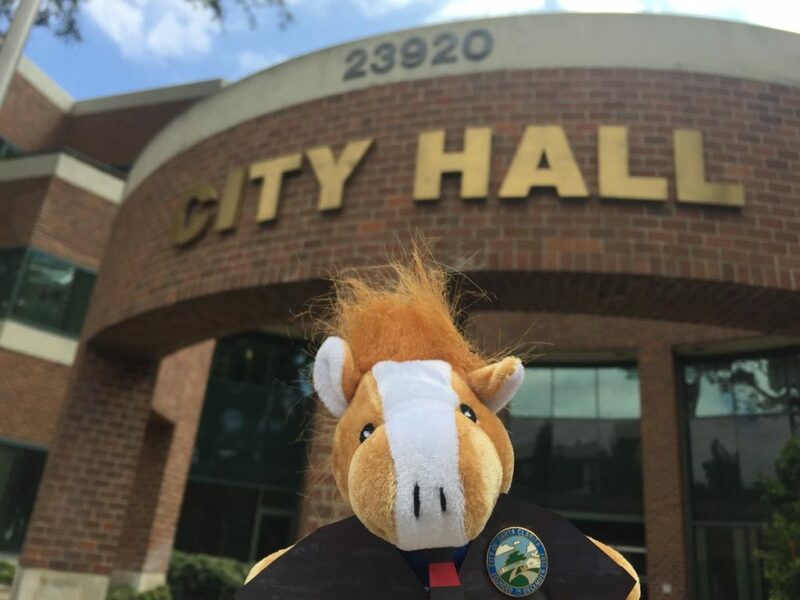 Residents can find mini plush versions of Sammy hidden at various City events and locations, using clues posted on the City’s Instagram account @cityofsantaclarita. Those who find him can keep him as their furever friend and are encouraged to share a selfie with him on social media using the hashtag #IFoundSammyClarita. For more information on Sammy Clarita’s whereabouts, follow the City’s Instagram account @cityofsantaclarita. To find out more about the Santa Clarita Public Library, visit www.santaclaritalibrary.com. Cinderella, with a twist of Hollywood glamour, set to dazzle at the Ahmanson Theatre, Feb. 5 to March 10. Los Angeles, Calif. – Get ready for an all new take on the classic fairy tale – the Ahmanson Theatre is proud to present Matthew Bourne’s Cinderella! Taking the classic story and splicing it into a wartime setting, this show is an all new emotional experience with a familiar thread. Enchanting, strange, subversive and utterly beautiful, this is the must-watch performance of the year. Andrew Monaghan and Ashley Shaw in Matthew Bourne’s “Cinderella,” which will be presented by Center Theatre Group at the Ahmanson Theatre February 5 through March 10, 2019. For tickets and information, please visit CenterTheatreGroup.org or call (213) 972-4400. Press Contact: CTGMedia@CTGLA.org / (213) 972-7376. Photo by Johan Persson. Matthew Bourne transforms the classic fairy tale into a wartime romance with a twist of Hollywood glamour. A chance meeting results in a magical night for Cinderella and her dashing young RAF pilot, together just long enough to fall in love before being parted by the Blitz.